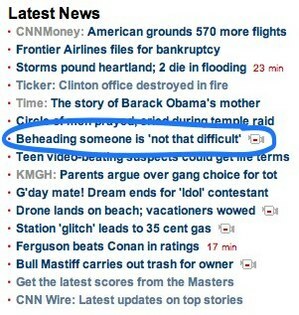 CNN.com often puts up a pretty funny “sensational” headlines. The link leads you to a pretty uninformative video of an interview with an expert who states that it’s pretty easy to cut off someone’s head with a saw once they’re dead. Really? Thanks for letting us know.